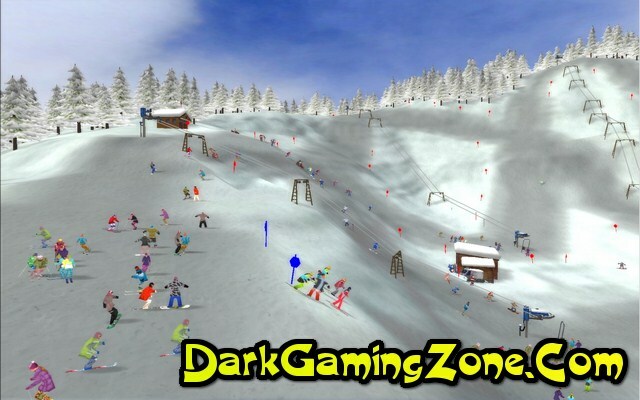 Review: Snowboard Park Tycoon is a computer game in the genre of an economic simulator with elements of a snowboarding simulator developed by the American company Cat Daddy Games and published by Activision Value Publishing on September 26 2002 (according to other sources - in January 2003). 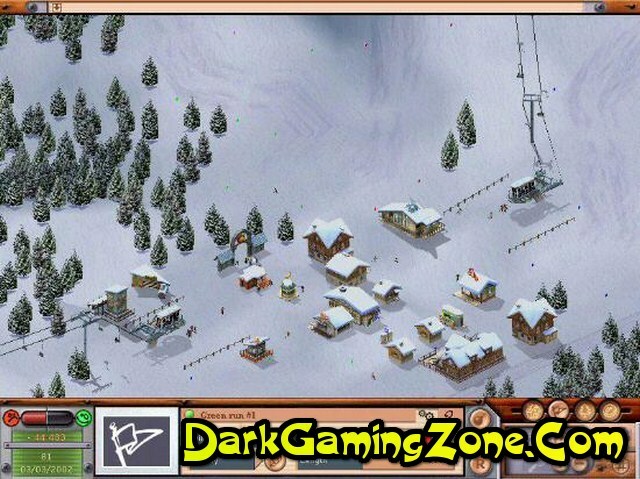 Later in November 2003 another game was developed by Cat Daddy Games - Championship Snowboarding 2004 which has some parallels with Snowboard Park Tycoon and the same game engine but focused exclusively on the part of the snowboarding simulator without strategic elements. 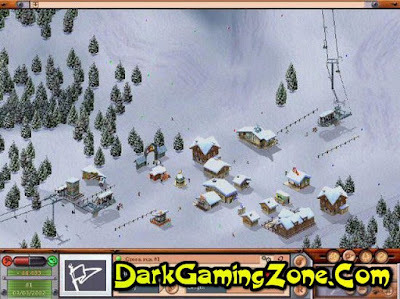 The gameplay of the game is a simulation of a ski resort. The player in the role of the manager of the resort will have to design the tracks for various competitions and snowboarding championships - the winter sport which consists in descent from snow-covered slopes and mountains on a special projectile-snowboard. When designing tracks the player places trampolines and special obstacles. A virtual camera is placed above the track which allows you to view the terrain. In the second stage the participants in the snowboarding tournament evaluate the created level and depending on the evaluation the player can proceed to create a new route or continue to refine the existing one; The player is allowed to participate independently in the tournament competing with other participants who are controlled by artificial intelligence. The second stage unlike the first one which is executed in a style similar to urban simulators is a snowboarding simulator - the player controlling the movement of the board with the keyboard and review with the mouse must win the race of other participants; The virtual camera shows the protagonist from a third party. There are several different modes of holding the championship which differ conditions.